Hi ! I am a student from India. Trying to learn new things and helping people with the same. How to earn Google Play Cash ? Firstly, let me tell you what things can you do with this money? You can buy apps on Google Play Store, buy books on Google Play, Books buy movies on Goggle Movies and You Tube but you cannot use it for any other transactions even if it is from Google’s own payment app Google Pay. 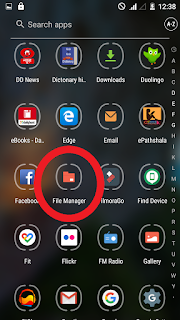 HOW TO HIDE A FILE IN ANDROID WITHOUT A VAULT? 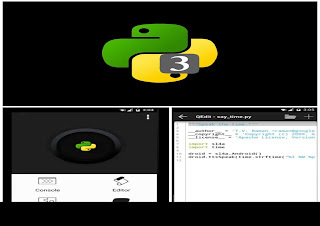 Open File ExplorerOpen the file explorer app on your system (with Android OS) because we need to get to the location of the file that you want to hide, and the file explorer is where you will get the location. Go to the locationAs I already mentioned you need the file location to hide it so go to the location of the file or just search it by name in the search bar and the file explorer will take you to it’s location. Rename it (place a dot ‘.’ before it’s original name)Now, as soon as you reach the file location, tap it long and go to the menu and select the option to rename it. And after that just rename it by placing a dot ‘.’ as its first character and you may leave the rest of the name to be the original one or may change it if you want, but, you must put that dot on the very first in either cases. HOW TO RUN JAVA PROGRAM THROUGH COMMAND PROMPT WITHOUT AN IDE? And hit enter. If it tells the version like the following it means it’s installed. Else if it shows the following text it means it’s not installed. If it is not installed then click here to install one. Check again after installing to make it sure that it is installed properly. HOW TO DOWNLOAD A VIDEO FROM You Tube? Hey! What’s going on? Did you just now come across a fantastic video on You Tube? And now, you may be looking the web for how to download that? *Downloading (and then sharing) non copyrighted video from You Tube is legal but downloading (and then sharing) copyrighted video’s is completely illegal. But you may do so without any serious risks J. Was just informing you if you too are against piracy (and that’s very nice of you to be.). 1.Open You Tube (if on PC search it in the browser) and go to the video you want to download. 2. Now, press share button and copy the link to the video. 3. Open a browser (if on PC then just open a new tab) and search for cpclips.com. 4. Paste the link to the video in the given box and hit the fetch button. Hey! guy’s, whenever you travel to some new place you obviously do that because you need freshness, adventure , want to gain knowledge about tradition, food and customs or you are a traveler who likes to travel to new places just to see how does it look like to be there. 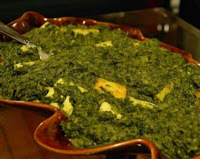 If you are travelling to Uttarakhand and are interested to taste the food of this hilly state, so here are top 10 foods selected by us that you should taste. 1. Jaula It is a dish prepared out of curd milk and is generally served with rice as a replacement for dal. It has different variants found all over Uttarakhand. It is basically a curry made by curd milk and spices. It is delicious with a sour taste (not too sour, can hardly be sensed). Many a times it is prepared by adding cucumber/guard/radish badi to which makes it much tastier. If you ever visit Uttarakhand you must try this dish.